No doubt about it ... This, along with the subsequent TARZAN THE MAGNIFICENT, marked the peak of the Tarzan film franchise and remain the two best Tarzan movies to date. A humorous side note: Allegedly, the producers also sought Connery to play another villain in MAGNIFICENT, only he replied that he was "already committed to doing some spy thing, but I'll be happy to be in your next." ... I guess we all know what happened from there. That's a very entertaining story. I can't help imagining some "alternate universe" with Connery himself as Tarzan, the "speaking perfectly good English" kind that this review mentions. 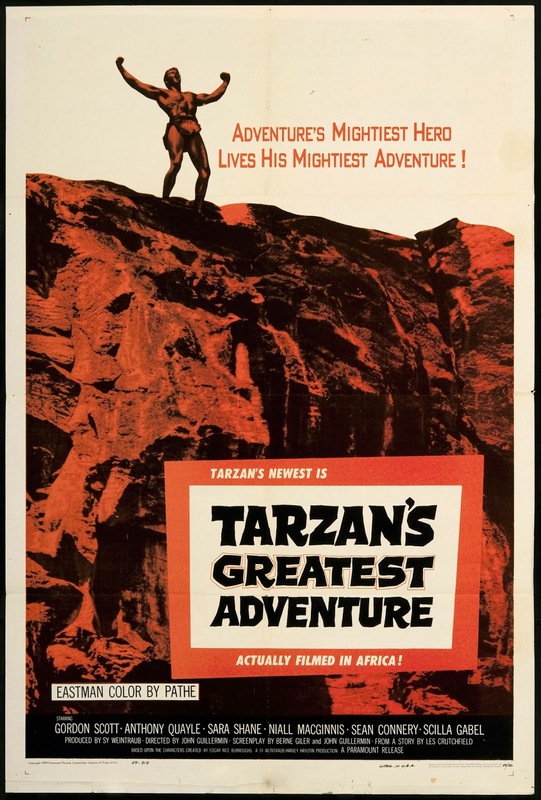 He even had a bodybuilding background (by one definition or another), and even though that wasn't as big a selling point for Tarzan actors as Peplum actors, it couldn't have hurt matters.